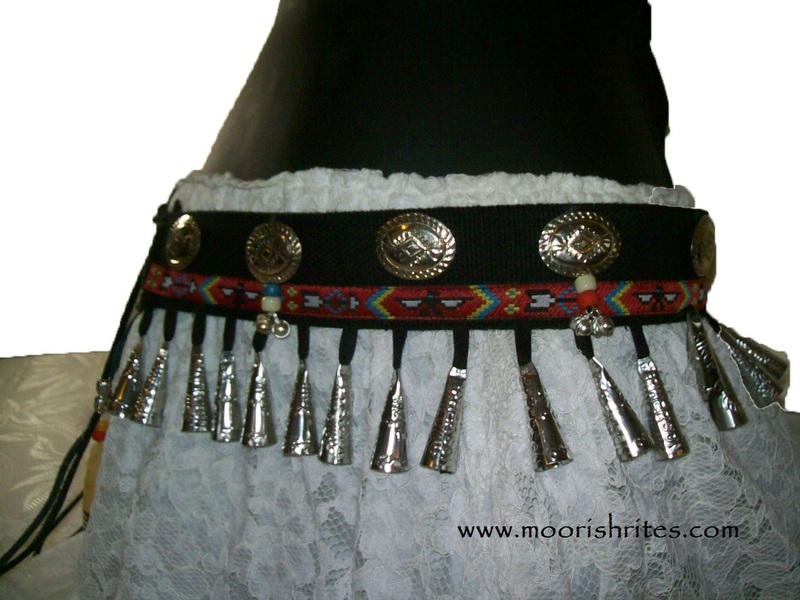 These belts are custom made with dancing in mind. Just like dance, these belts tell a story. Colors and shapes are symbolic drawing upon indigenous culture. 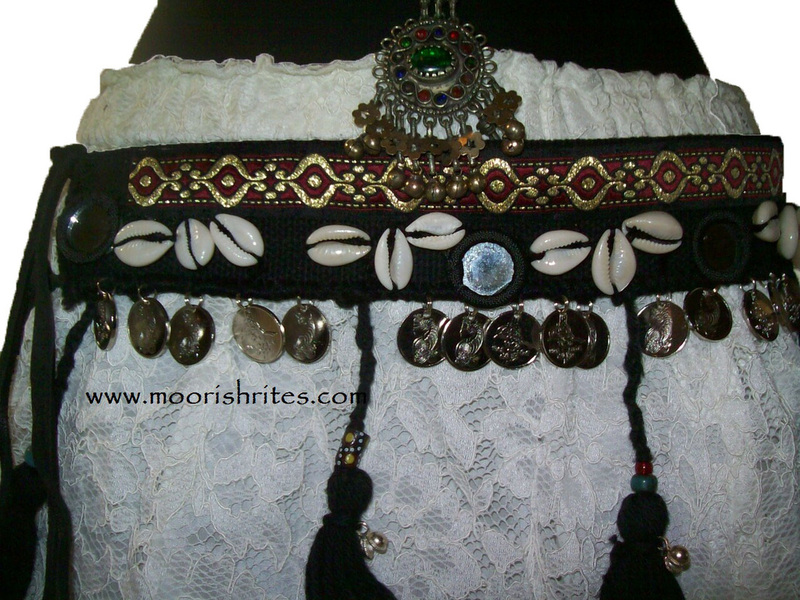 Not only are these coin belts custom made to fit your waist (actually below the waist), but the coins are hooked on split rings and reinforced with woven threads. 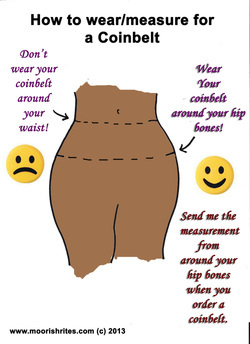 Unlike other coin belts and hip scarves, this technique makes it difficult for any of the coins to fall off. 100% cotton is used for base materials and leather ties. Once your order is placed allow up to 2 weeks for your order to be completed. If you have an idea that you don't see, contact us! * Once you have selected an item, bag/cart opens on the bottom of page. Please, scroll down to the bottom of the page to view bag/cart. The sun has set on the desert horizon, the caravan is secure, and the fire is blazing within the circle of tents. Feel the sand between your toes as your hips drive this belt to tell a story. Experience desert opulence with this combination of African trade beads, tassels, shisha mirrors, cowry shells, and ghungroo bells. Pendant not included. 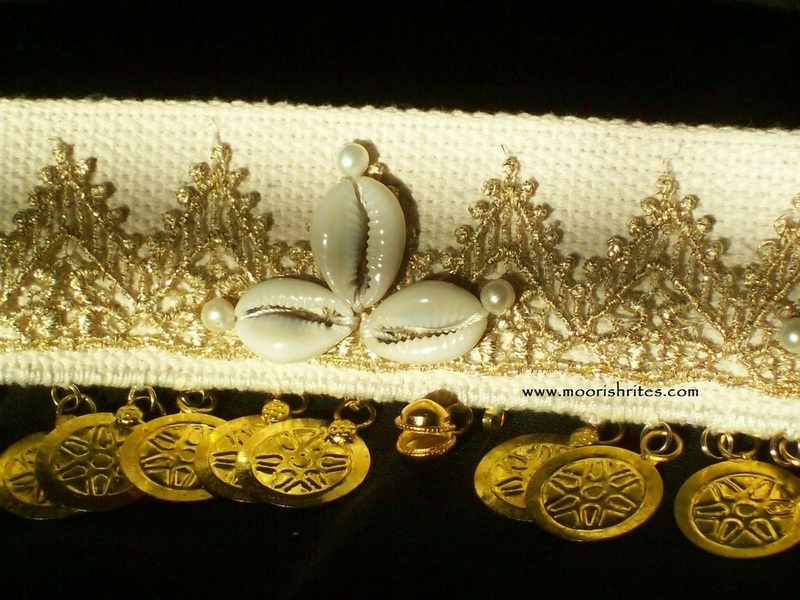 Bring lots of regal yin energy to any event with this belt. 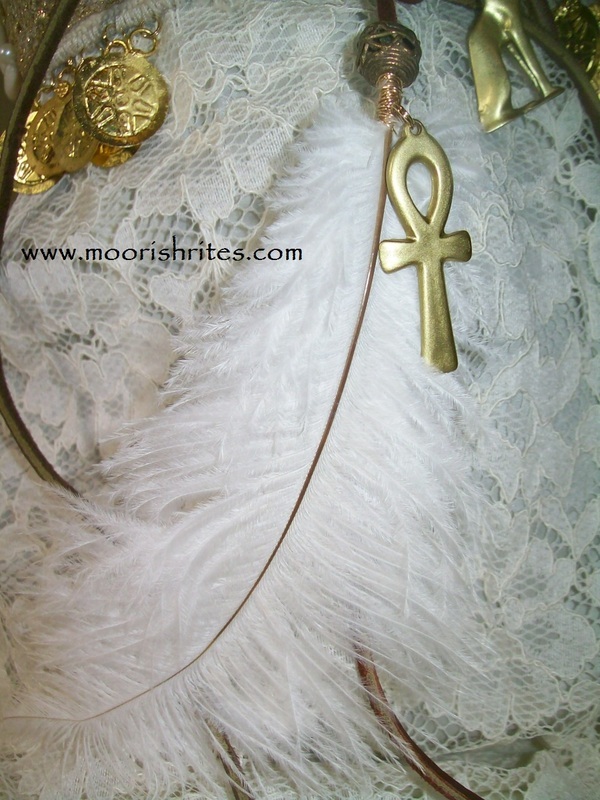 With golden lace pyramids, cowry shell lotus flowers, fresh water pearls, Ma'at (ostrich) feather with ankh, Bastet/Cat with Eye of Ra on chest you will be the Queen of the Nile! 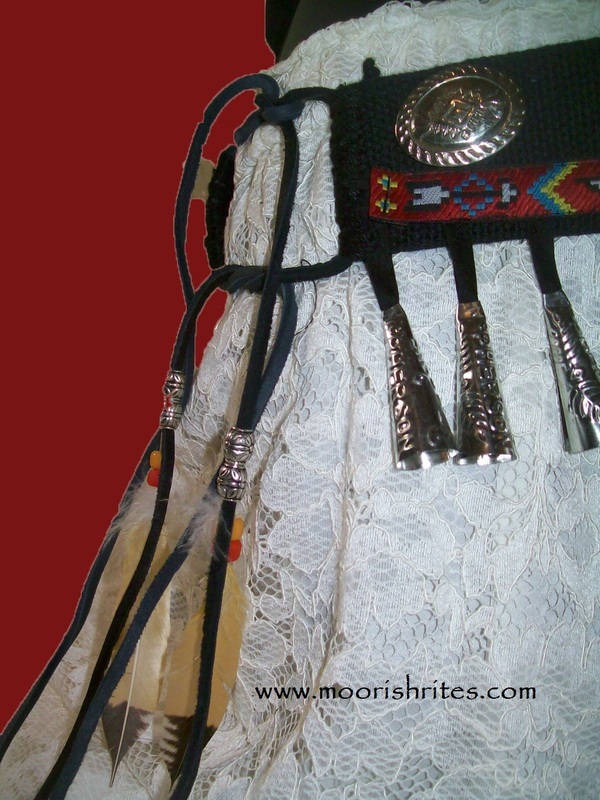 A spin off the jingle dress popular in powwows and essential to the healing dance. 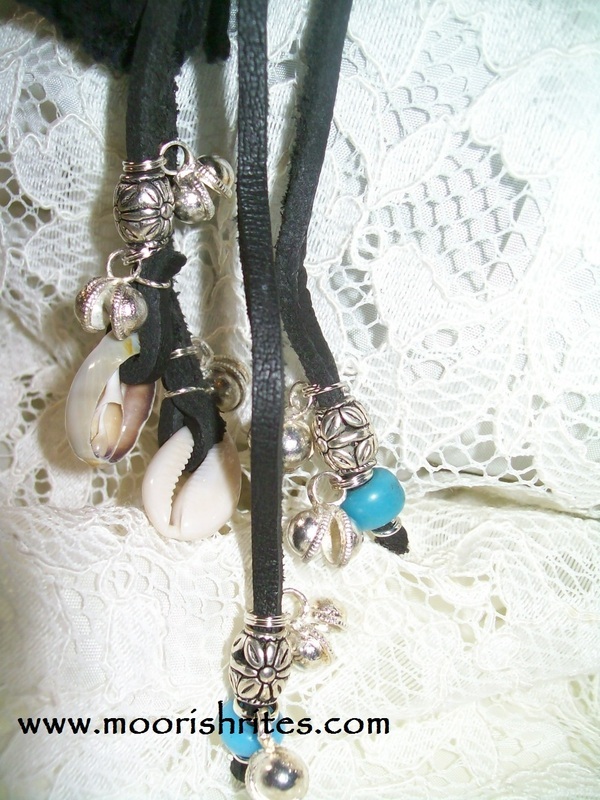 Glass beads, ghungroo bells, and feathers. Jingle cones sound like gentle rain falling. Trouble ordering or simply want to mail or call in an order? Click the comment button below for additional ordering options.